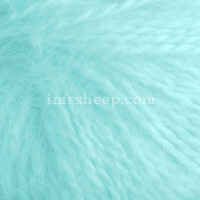 Lanas Stop French Angora (a.k.a. 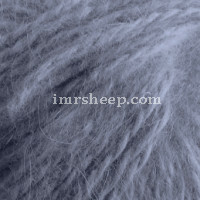 Nature) is one of the best quality angora yarn in the world. 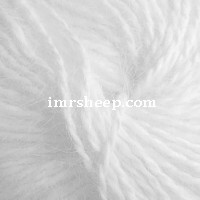 It 'blooms' similar to Anne Blatt Angora Prestige. 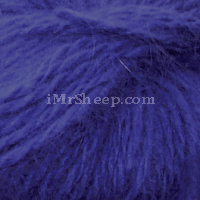 It is in light 2-ply double knit weight and is manufactured in solid colours. 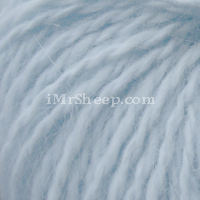 Even though its put-up is 10g per ball, there are 50m in the ball. 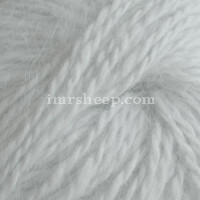 20g are enough to knit a hat in a simple K-and-P stitch pattern. Expensive. 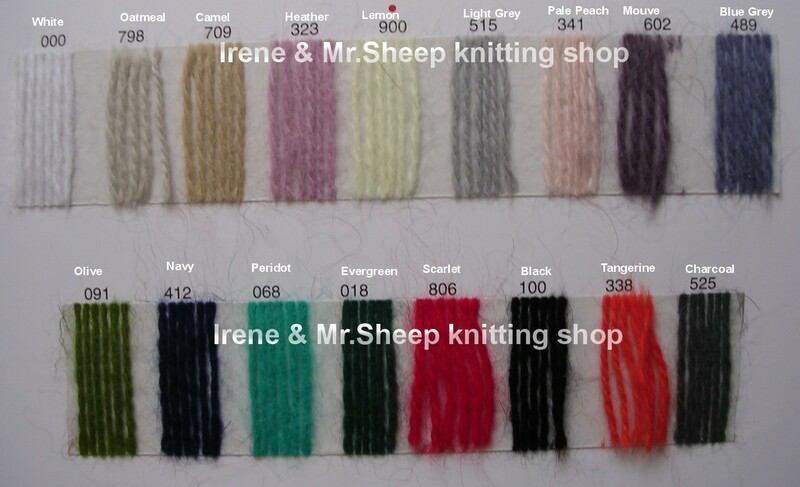 * Note: Lanas Stop 'Nature', an equivalent yarn, is re-branded and now manufactured under the name of 'Angora'. NATURE SCARF: Knit a regular scarf - use any scarf pattern, and add a Wild Rose Flower: Knit a rectangle of approx 3" W x 10" L: K on right side, P on wrong side. 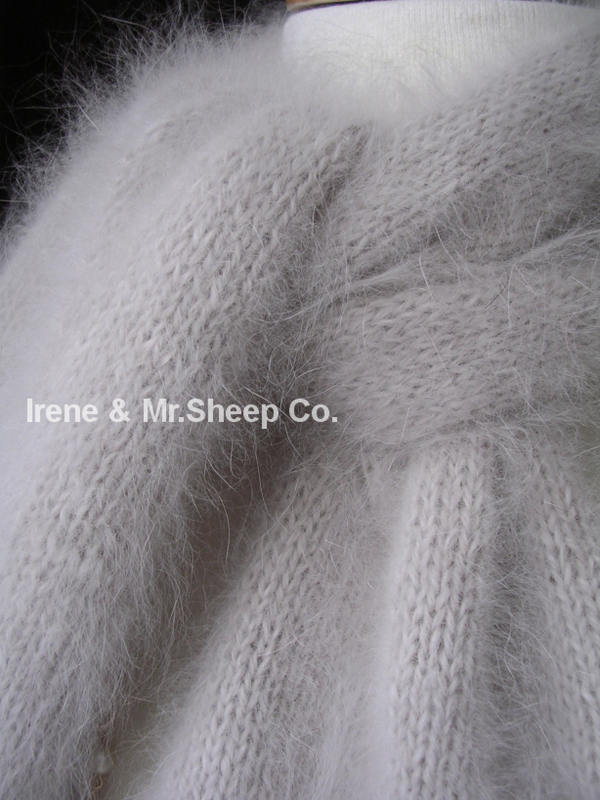 Insert a thin wool thread along the length (L) edge and fasten off the thread similar to last stitches of the hat top point. 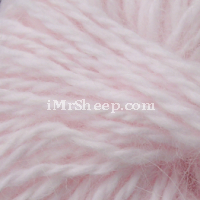 Twist the obtained flounce to make a Rose. Attach. 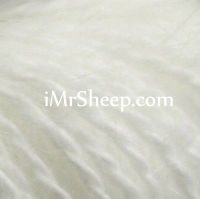 Garment Care: dry clean or hand wash with woolwash "no rinse" or baby shampoo. Lay flat to dry, avoiding exposure to direct sunlight. No iron. 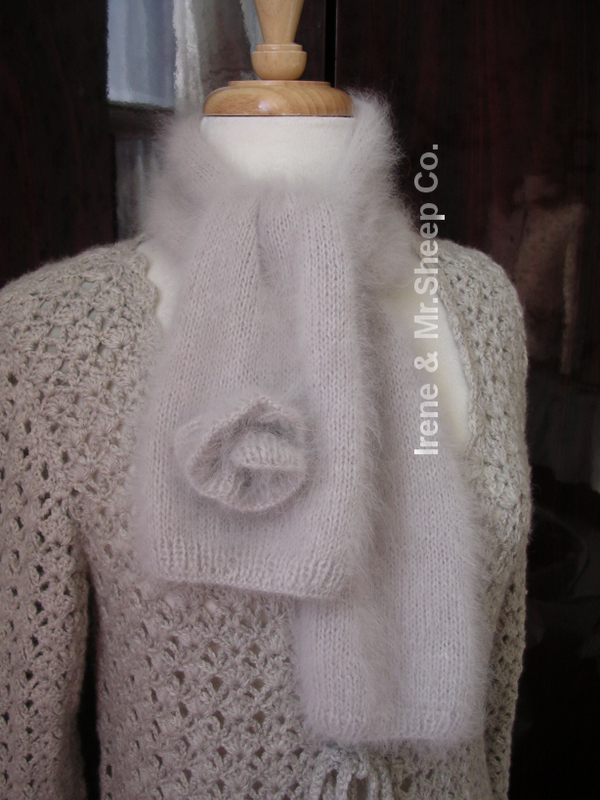 NATURE ANGORA SCARF © Irene & Mr.Sheep Co.
• Fantasy Pullover © Anny Blatt, IREN № 6, 2012, yarns: Anny Blatt Angora Super, kid mohair with paillettes Tresor, and lamé-effect ribbon Victoria.